Today, the campus center has been neatly managed with chairs, large screen TV, and attractive banners with the slogan written “President Inauguration of Barack Obama”. Suddenly, students of the University of Hawaii enthusiastically cheered, and stood and sang the national anthem along with President Barack Obama. Everyone here looks as proud as Hawaii is the birthplace of their 44th President Barack Obama. As a Cambodian student, I was excited in goosebumps in such a fever. Barack Obama has a unique background and his political career has been totally shaped by his personal background and charismatic leadership. He is a son of Ann Dunham who was a former student in the Department of Anthropology at the University of Hawaii. She was the fellow of East West Center at that time. In that period, Ann met a charismatic Barack Obama Sr. They both married and had Barack Obama Jr. in 1961. Obama Sr. left his family for Harvard and then Kenya. Ann remained her life in UH and married another international student from Indonesia. There are numerous articles and researches digesting the states and state formation. Among those researches, I am intrigued by the book called “Understanding Nationalism” written by Margaret Hoogeveen published by McGraw-Hill Ryerson Publishing in 2008. This book explored the recipes of state actors leading to the state formation. Taking different approaches from Tilly, Moore and Skocpol, Margaret emphasized the importance of nationalism as the substantial factor having built a nation-state. But she dismissed the approach of ultranationalism. It would cause the destruction of a nation-state. Nationalism is the by-product of sociopolitical movements in a society. It is essentially built by a collective sense of identity. This collective identity has been presumably expanded by individual identity, and it sprang to a national identity. Loyalty to their value and identity underpin the need of caring and protection. Till has collaboratively assured his thesis of the intervention of a state in making war to weaken, eliminate or neutralize rivals outside of their territory, making a state in the mission of eliminating or neutralizing those internal rivals inside their territory, making a trustworthy protection inside their state in order to convince their state-clients feel secure from enemies, and making an extraction activity to aggregate the means that can allow them to continue carrying out those three activities (Till, 1985, p.181). With this state’s monopolistic extraction activity, Skocpol elaborated the social classes of both elites and bourgeoisies have constantly played important role to shape the state formation and state’s changing phenomena particularly current modernity of state’s capitalist forms. Today, it is my prestigious moment to have been reading a political, historical personal memos of Ta Meas during the political upheavals of Cambodia in the rival of Annam (Vietnam) and Siam (Thailand). Ta Meas in that time, according to his memos, he was 80 years old in the year of 1828. The book was recompiled and interpreted by Dr. Khing Hok Dy and in his preface, he described that Ta Meas had spent his life gone through at several Khmer monarchs such as Ang Chan, Queen Ang Mey, Ang Duong, Norodom and the beginning of Sisowath throne. Ta Meas’s narrative is simple, folktale style and reflective the destitute conditions of Cambodian people in that time because of internal divisions and outside invasions. Dr.Khing Hoc Dy pointed out that this memo was published by French Protectorate with the first arrival of Printer Publishing in Khmer in 1907-1908 and the writing structure was slightly disorganized before the introduction of Cambodian first official dictionary in 1938. The significances of Ta Meas’s memo intrigued my thought to the disintegration of Cambodian nation and her territory integrity. Ta Meas was well aware of the distinction of Cambodian race upon the political interfering of Annam and Siam in that time. His brilliant point of view to seek other outside international partners to stabilize and neutralize Cambodia is fit well to the current survival of Cambodia. There are many countries he mentioned in his memos that King sought to take their hand. Those countries including Europe, England, French, Portugal, Holland, Java, Sumatra, Singapore and Spain. His description is moving with the King’s international expanding to find supports and Cambodian King saw French as his important supporter to get rid of both Annam and Siam. According to many academic researches of Post-Colonial countries and politics, there have numerous emerges of national identity, nations and nation states. Those are including new emerges of nation-states without linking to its past line and nation-states that has been strongly inherent to its glorious past. 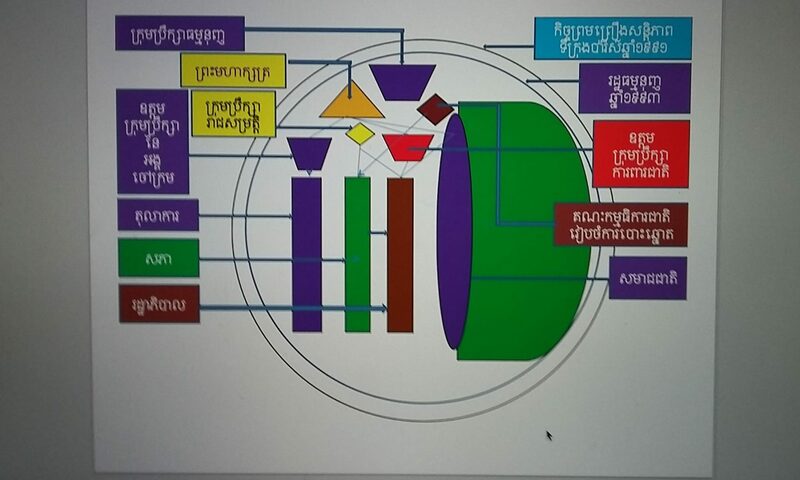 Cambodia has resurvived again in the continuity of Khmer race from Angkor era to present nation-state. Penny Edwards, in her book “Cambodge: The Cultivation of a Nation 1860-1945″ fascinatingly articulates the regeneration of Cambodia to become a nation-state. Penny assumed the language, cultural, monumental and religious factors as the substantial premises leading to the formation of Cambodia. The compartmentalization in each of these factors was well prepared and built by French Protectorate. French has played important role in building a fragile Cambodia into a modern nation-state, Penny assumed. I recommend every one to read The Memors of Ta Meas, it is really joyful reading book. And if you have time, please read Penny Edwards’s.